Carnival Horizon has just two more regular cruises from New York until a Miami arrival! The newest Carnival cruise ship which joined the fleet in Spring 2018 will finally arrive at the cruise capital of the world. The second Vista class ship has just two more cruises until Miami. The ship is departing today from her current homeport in New York City for an 8-night Eastern Caribbean cruise. After that, the ship will sail a short 4-night cruise from the Big Apple to Bermuda and then will leave for PortMiami with no regular passengers onboard, just VIP guests and people working in the industry. This repositioning voyage will be nice for the hard-working crew members! 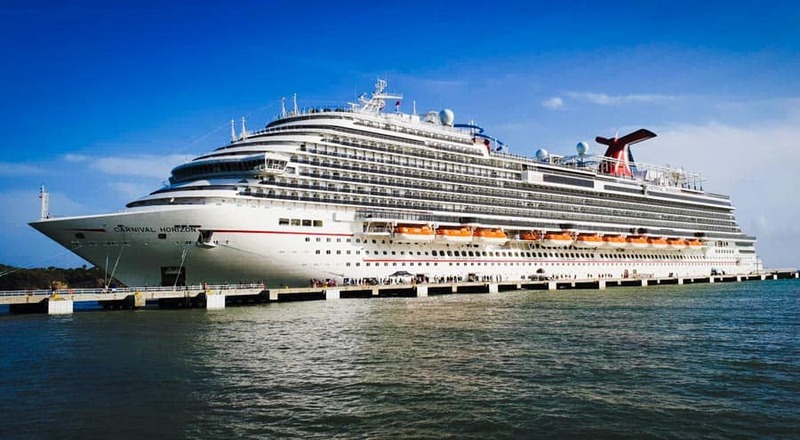 Carnival Horizon will arrive in Miami on September 20 marking the start of the year-round service with the new Carnival flagship. Before the regular service begins there will be a short 2-night teaser cruise departing later in the day and sailing to Nassau in the Bahamas and back to Miami. If you didn’t know, Carnival Cruise Line launched a new class ship recently, the Carnival Airship! The airship was launched in Nashville and will make its way around the U.S. southeast. It’s part of a promotion for all the great Carnival ships based out of many cruise ports including Galveston, Miami, and Port Canaveral. The airship will be in Miami to welcome Carnival Horizon so if you are in that area do keep an eye out for it high in the sky. After September 20 the Airship will then head up towards Port Canaveral for the next day and then further up the east coast. Carnival Horizon will sail her first regular cruise from PortMiami on September 22, 2018. The ship will sail year-round 6-day and 8-day cruises to the Caribbean. The ship has been based out of New York since first arriving in the U.S. from Europe in May 2018. While cruising from the city it hasn’t all been smooth sailing with propulsion issues and more recently the ship hitting the pier. The cruise line will now put all that behind by launching the new cruises from Miami. 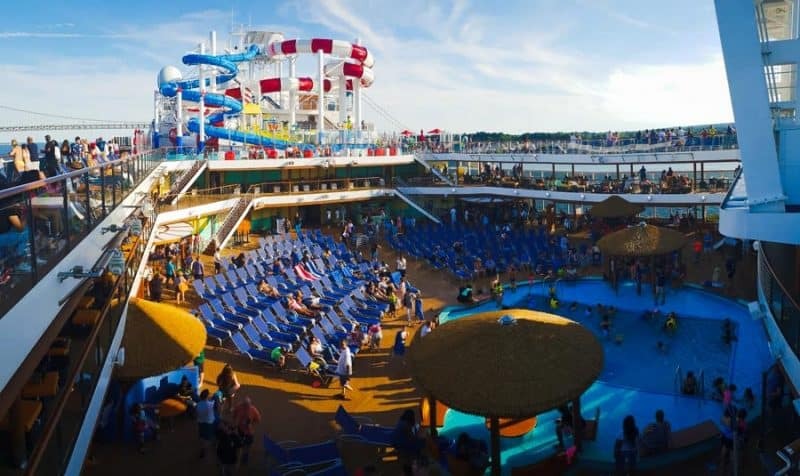 Those choosing to sail on Carnival Horizon will be met with new fleet first features including the popular Guy’s Pib and Anchor Smokehouse Brewhouse, Dr. Seuss WaterPark, and a dedicated Teppanyaki dining venue. The new ship is 133,500 gross tons and has a guest capacity of over 3,900 at double occupancy. Carnival Horizon has a third Vista-class ship arriving in 2019, Carnival Panorama is currently under construction in Italy so do keep following Cruise Hive for all the latest. Also take a look at all these reasons to cruise on Carnival Horizon, covering onboard features and everything a cruise can do during a cruise vacation on the ship.